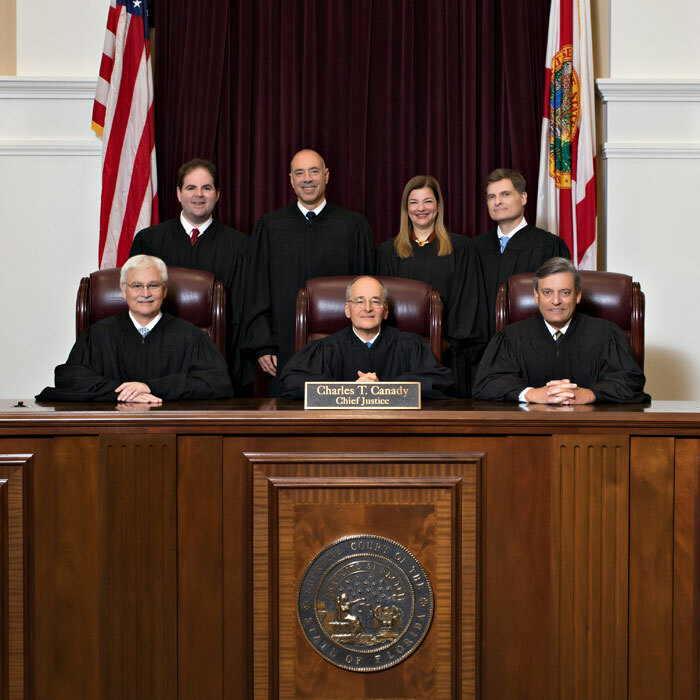 Program Description: The Florida Supreme Court Internship Program for Distinguished Florida Law Students is open to qualified law students from accredited Florida law schools. Unpaid Internships are available for the fall, spring, and summer semesters. For one semester, the intern will function as a law clerk to an individual justice, a central staff law clerk working for all of the justices, or a law clerk working for the clerk of court and the administrative justice. Duties will include reviewing and making recommendations on petitions for discretionary review, attorney discipline matters, and extraordinary writ petitions; and conducting legal research and preparing memoranda on pending cases. The intern will have the opportunity to attend oral argument, discuss cases with staff attorneys and the assigned justice, and assist in the drafting of orders or opinions. The intern also will attend special lectures, group discussions, and training sessions. The intern will be awarded a certificate of recognition upon successful completion of the program. Selection Process: Each participating Florida law school selects a limited number of qualified students to participate in the program each semester. Selection is based on the student’s overall record, including courses taken, grades, research and writing skills, experience, expected graduation date, and satisfactory background checks. For more information, contact officials at your law school.